It must be hard to find out what’s wrong with a pet when they can’t tell you. At Halifax Veterinary Centre, we have heard this phrase hundreds, maybe even thousands, of times. And yes, it can be hard. However your pet will tell us a great deal by its body language and how it responds as we examine it. Often you’ll give us clues too. That isn’t always enough and we may need to do further diagnostic tests. 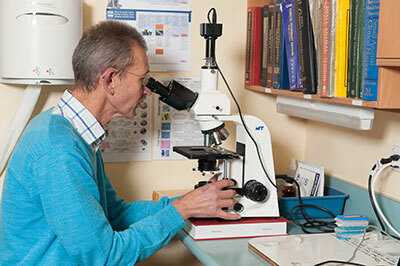 We have the capacity to perform a broad range of diagnostic tests on site, and quickly too, so that often within minutes we can have narrowed down a long list of possible disorders to a handful, or even to a specific diagnosis. This is especially valuable for critically ill or emergency patients for whom the delay in waiting for tests from an outside laboratory could be fatal. 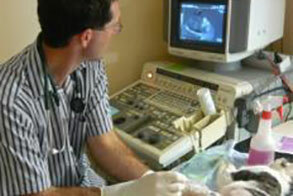 It is also important that we are able to diagnose the problem accurately before we start treatment. Not only so that we can provide the best treatment, but also so we’re aware of other underlying health problems that affect your pet’s ability to respond to treatment, or to tolerate certain medications. 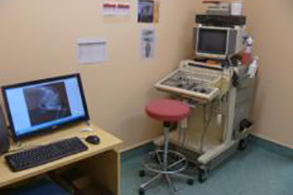 Modern X-ray equipment helps with accurate diagnosis and treatment. We have the equipment and skills to perform a wide range of laboratory tests immediately on site. Ultrasound is non-invasive and painless and enables us to see the inner detail of organs for greater diagnostic accuracy. 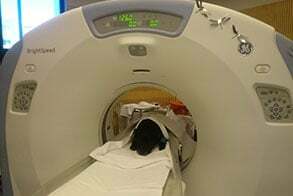 The Nelson Radiology Group is now offering Halifax Veterinary Centre the ability to do CT scans for pets.